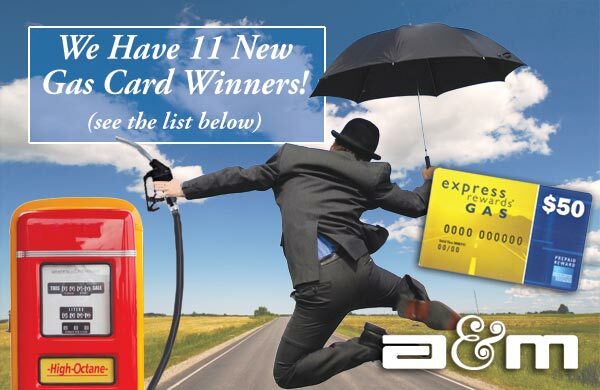 The next 7 gas cards will be given away on September 30th. Jeanne Borelli Borelli Insurance Agency, Inc.
A&M will be awarding twenty $50 gas cards from July 1 to October 31, 2013. All you need to do to be eligible is to bind one new commercial or personal lines account from July through September. Get those new applications in now and give A&M a chance at your renewals and see how we say YES! Need to talk to our underwriter?